I feel like I’m beginning to crack under the pressure of everything. 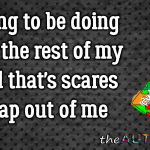 The kids are all over the place tonight and I love them to pieces but I wouldn’t hate it if they were a bit quieter and a bit more cooperative. Gavin is driving me crazy with his incessant talking about the same goddamn thing, over and over again. It doesn’t matter what kind of mood I’m in or how bad of a day I’m having, he just keeps coming at with stuff about his games. He hasn’t the first clue how annoying it is and he’s not doing it to create trouble, he just can’t help himself. Many times there’s just no escaping the onslaught of verbiage coming out of his mouth. Gavin: Hey Dad, guess what I just built….oh yeah, nevermind. Me: Okay Gavin, thank you. Gavin: Dad, I was just about to tell you how I upgraded my village and built new defenses in my game but then I remembered that you told me to stop talking about my game, so I did. Me: Gavin, I appreciate that but in telling me what you remembered not to tell me, you ended up telling me anyway. Gavin: God dang it. I’m such a freaking idiot. Me: Stop it. You’re not an idiot and I don’t want to hear you talk about yourself like that. I’m not mad. If I don’t show you what you’re doing wrong, you can’t learn from your mistakes. We all make mistakes and important that we learn from them. 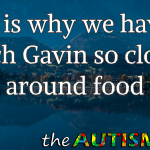 Gavin: I don’t know what’s wrong with my stupid brain. I’m sick of it. I’m sick of my stupid, God-forsaken brain. Me: Gavin, everyone makes mistakes and making mistakes doesn’t make you stupid, it makes you human. We can just keep practicing. 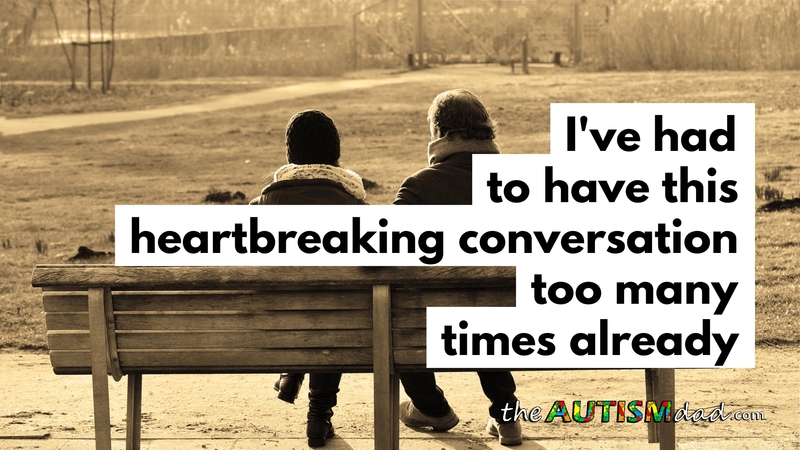 I can recite this heartbreaking conversation backward and forward because we’ve had it countless times already. It never changes anything but we have to keep working on things. I’m overwhelmed by all that’s going on. The list of things that I have to do keeps getting longer and longer, while my resources continue to either stay the same or dwindle. It’s been a rough week and I’m not coping very well. I have my good moments and my bad ones, as evidenced by my punching the refrigerator the other day. 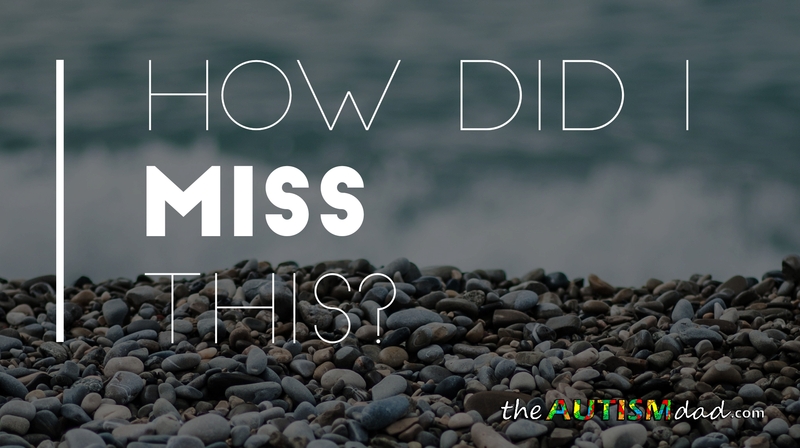 If the only thing I had to do was Autism parenting specific tasks, I’d be in over my head. I wish that was all I had to deal with but unfortunately, that’s not how life works. 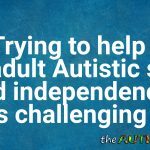 I came across a link to your site through https://www.sleephelp.org/autism-asd/ after they had contacted me asking if I can link to threir site on mine I not only wil do that but also to yours. I love your honestty. I am a single mum living in New Zealand. 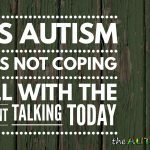 I have three children on the autism spectrum with whom I parent alone and have done so for many years. To state it as a lonely life is an understatement. I have lupus and Ehelrs Danlos syndrome so am unable to work. We live on a benefit, so finanaces are always tight. The kids have always come first, always will. My three are now aged 16, 19 & 23. 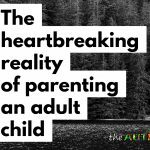 I would love to reaffirm you and say it gets easier as your child becomes an adult, but in some ways it is harder. 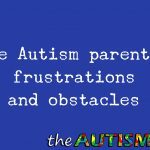 My two sons both have depression as well as their autism, it is an inherited trait unfortunately, which aids in the anxiety. How to I cope? I meditate, I have my music to listen to, so I can blot out when need be. I garden. I have my own haven, my room, we all need a little something. None of us are perfect, we muddle our way through. I love imperfect, there is no such thing, for those seeking a perfect life are dreamers. Do I regret parenting my special children, no never, they have taught me to fight, fight like nothing ever. They gave me purpose when I was diagnosed with breast cancer four years ago. They needed me, just as much as I needed them. 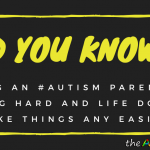 I am blessed to be a parent, not everyone can say that, but as a parent to children on the autism spectrum, we are blessed in so many ways. Keep strong, keep being honest and real. It’s really nice to meet you. I really appreciate the link and that you shared some of your story. 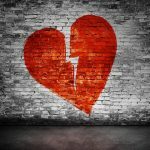 Can I return the favor and add you to blogroll on the right side bar? Can you please reply with a link to your site…. You know what? Telling Gavin to stop talking about whatever his favorite thing at the moment is, doesn’t seem to be working. I know you need to do things that are important and teaching Gavin is one of them. But has he shown that he’s in the slightest bit capable of changing in this area? Would you be better off just ignoring him? Would he even notice? I have no idea, just it seems every time you revisit this subject you mention how much Gavin talks and he never seems able to change. If you looked at him and thought that he’s never going to change in this area, would it make things easier to accept? Would letting go of the expectation he might change make it better? Seriously, I have to do this with people I love. 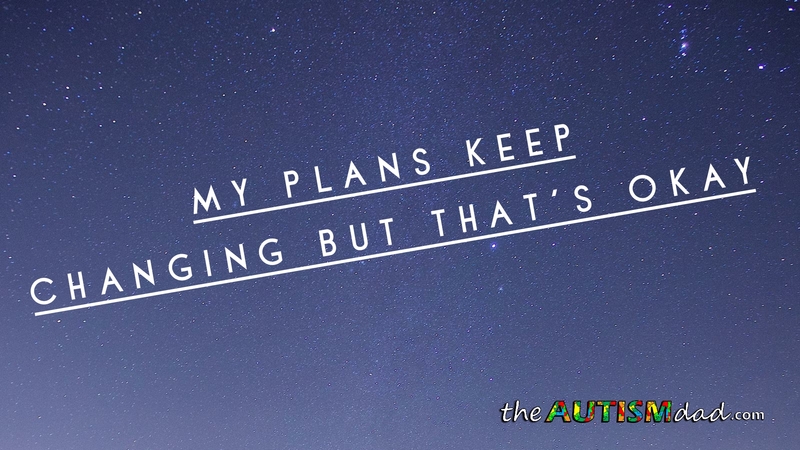 Our expectation that something might change can actually be the most annoying part. As long as we hold on to believing we can change a thing, we get annoyed and upset when it does not change. Anyway, this is merely food for thought, as I am not you and I don’t live with Gavin. But even now I’m discovering things with the people I’m close to that I get upset about, and then realize I can’t change a thing. (Yes, this is actually happening now too.) Anyway sending positive thoughts, energy, prayers, whatever works for you. You know, that’s an interesting point. Part of this for me is that if I give up trying to help him with things like this, I feel like that’s saying there’s no hope. Maybe there isn’t and I don’t mean that in a negative way but rather a realistic way. I feel if I keep trying, then I haven’t given up on him. 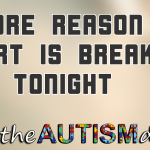 It really is difficult and it drives me crazy but maybe we need to pause and reevaluate. That’s a really good idea Jimmy. We’ve done things like that in the past and it works fairly well for the boys but Gavin will come back later and start over. Is there any type of adult day program that Gavin could attend that would benefit him to meet people and develop life skills? Sorry. It is exhausting. 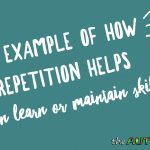 Is there respite care? Can you just take a day? You’re not alone. And you’re doing a great job!